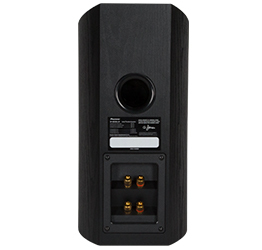 Developed by Andrew Jones and based on the industry favorite SP-BS22-LR compact speakers, the SP-BS22A-LR Dolby Atmos-enabled compact speakers deliver amazing sound without breaking the bank. Most Dolby Atmos-compatible speakers use a single, full-range upward-firing driver to produce a ceiling-speaker effect. But speaker designer Andrew Jones knew a single driver could never deliver true high-fidelity sound. 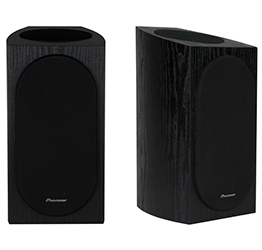 After the success achieved with concentric drivers in the Elite Home Theater System, Andrew Jones decided to bring the CST technology to these Pioneer speakers. 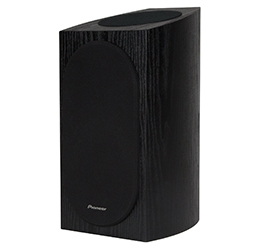 The SP-BS22A-LR’s upward-firing driver is a concentric array with a tweeter inside a woofer. This design allows Andrew to highlight the details in action movie sequences as well as your favorite music tracks. Sold as a pair.